Kingdom Come Deliverance, the huge role-playing game by Warhorse Studios, has been released alongside a pre-order DLC pack which was also available to those who backed the game. Now, the team confirmed that the DLC can be purchased on Steam. 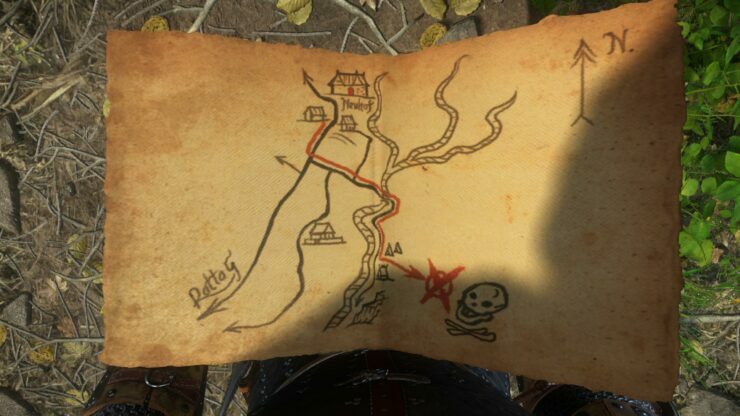 The Kingdom Come Deliverance Treasures of the Past DLC includes several treasure maps which lead to hidden treasure. The DLC pack can be purchased on Steam for the price of $4,99 / €4,99. The mythical armor of the Warhorse tribe. Shrouded in mystery – it is said that the original wearer purged all the dragons from the Kingdom of Bohemia. The latest update released for Kingdom Come Deliverance is update 1.4.2, which has yet to be released on consoles. Update 1.4.3 is expected to release sometime this week, as it’s currently under certification. A PC release should also come this week. Patch 1.4.3 (XBox 1.0.0.178) was sent out for certification for @Xbox One today. Patch 1.4.3 (1.06) for #PS4 was send out for certification just now! It will bring all the fixes that are in 1.4 and later patches. It should be available sometime next week.